Like many of you, I get a lot of beers and beer accessories for Christmas. This year my boyfriend went with a monthly beer club – with the extra promise he won’t have more than 2 of the 12 every month. As a bonus, they were nice enough to deliver before my PorchDrinking deadline, so I get to share my haul with you guys! 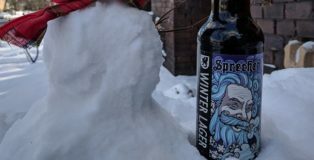 While I was familiar with one of the breweries from the east coast, the club introduced me to Sprecher Brewing Company and their Winter Lager. 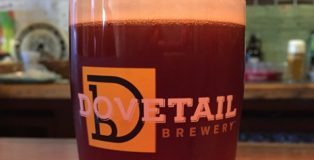 Fans of Bavarian-style beers will want to check out Dovetail’s new beer, Bamberger Dunkel. It’s released just in time for Oktoberfest celebrations in the city of Chicago or just kicking off the fall season. 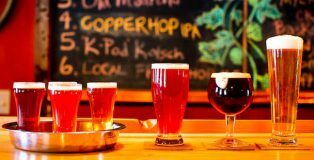 This beer will make you feel warm with the windy city chill. It is medium bodied, so the drinker will not feel too full after a glass, thus leaving room for plenty of German sausage. 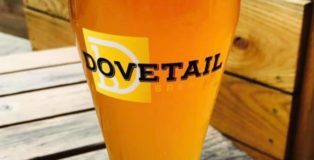 If you forgot to BYOS (bring your own sausage) to Dovetail, don’t worry. They will have plenty of Landjäger for sale. “In fourteen hundred ninety-two, Columbus sailed the ocean blue,” but a few months before Columbus landed in the Caribbean, an Austrian brewery that came to be known as Stiegl arose in the town of Salzburg. Five and a quarter centuries later, the world has dramatically changed, but Stiegl is still there and still delivering beer in its hometown by horse and carriage. 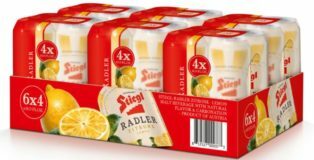 The one thing that is new is the Stiegl Zitrone Lemon Radler, its newest summer-friendly, highly sessionable U.S. import. Although owned indirectly by Anheuser-Busch, I would argue that Franziskaner Weissbier still has a place in any beer drinkers repertoire. 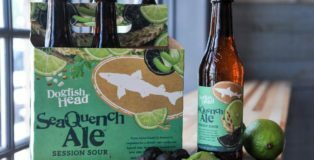 Dogfish Head has a knack for marking time — 60, 90 and 120-minute intervals. But, in the case of SeaQuench Ale, it’s not mere minutes that matter, it’s centuries. 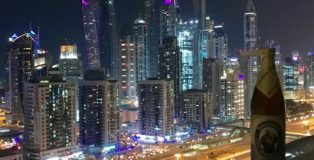 Five hundred years ago, the German brewing purity law, or Reinheitsgebot, gave birth to the prominence of the German lager we’ve all come to know and love. Sea Quench Ale honors that anniversary by simultaneously celebrating German brewing and ignoring that law.